Birmingham poet and performer Benjamin Zephaniah was on the front row for the first hometown performance of the stage adaptation of his novel Refugee Boy. And he must have been delighted as the enthusiastic and energetic cast of six related the tale of 14-year-old Alem, in Britain as a refugee from the war between Ethiopia and Eritrea. It's a timely topic as there continues to be issues over refugees and asylum seekers from such war-torn countries as Syria, Afghanistan and Iraq. Fisayo Akinade, who graduated from the Central School of Speech and Drama in 2011, is marvellous as Alem. The youngster has had horrific experiences in his homeland, shown in a series of flashback scenes, but he has an innocence and naivety when dealing with the streetwise occupants of the children's home he is sent to in London. The rest of the cast take on multiple roles. Particularly impressive is Sarah Vezmar who, at one point, swiftly switches from being a posh English lawyer to her main part of Ruth, a feisty Irish teenager in the foster family looking after Alem. I also liked Dominic Gately as Ruth's father, school bully Sweeney and bed & breakfast owner Mr Hardwick. 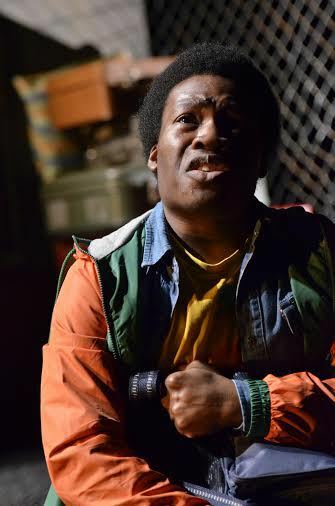 I feared the play, given the subject matter, might be quite grim but playwright Lemn Sissay has included some genuinely funny moments, especially in scenes involving Alem's children's home pal Mustapha (Dwayne Scantlebury). 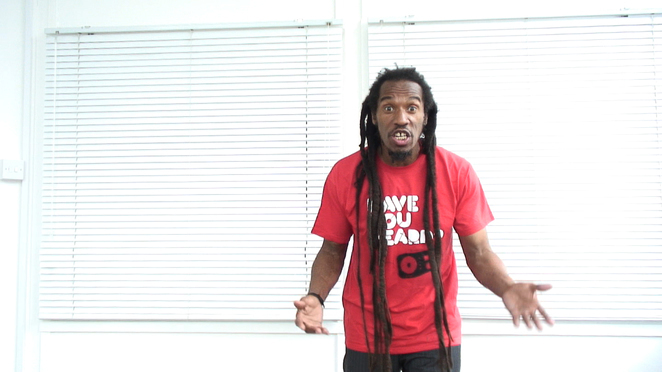 There's a great exchange between them as Mustapha tries to explain street-talk to Alem. How can 'bad' mean 'good' and 'wicked' mean 'excellent'? And there's also a veiled reference to Benjamin Zephaniah himself - when the youngsters organise an anti-deportation rally they say 'a Rasta will read some poetry'. I'm sure that raised a smile on the front row. During the 90 minute performance the cast have to exert a lot of energy due to the multi-level set. Suitcases are used as stairs and scaffolding is employed as a ladder, with the actors climbing up and down during and between scenes. Quite a feat but done flawlessly. 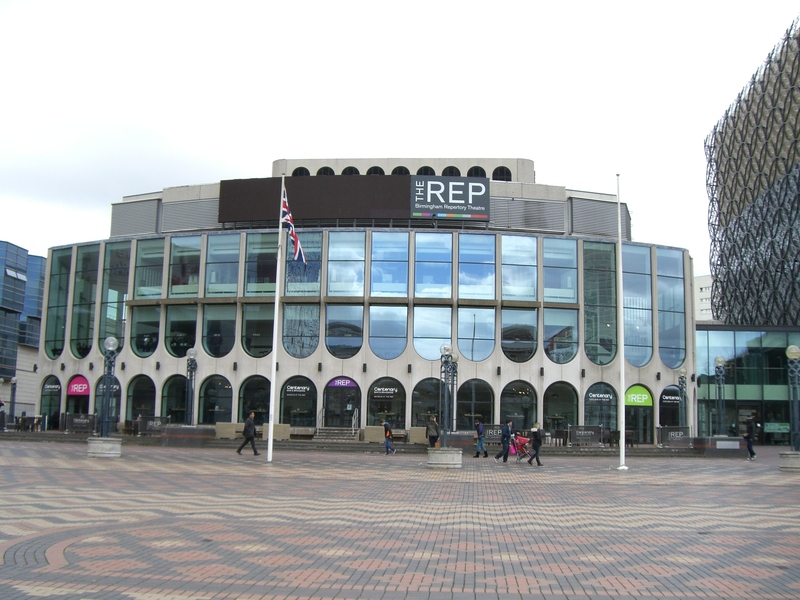 Refugee Boy is at Birmingham Rep until April 12, 2014. Why? Thought-provoking play with excellent cast.